Capote and Hunger Games actor Philip Seymour Hoffman was found dead in his New York home due to an apparent drug overdose. 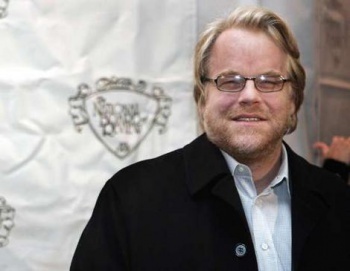 Actor Philip Seymour Hoffman most know for his portrayal of Truman Capote in Capote and last seen in the Hunger Games: Catching Fire, has been found dead in his New York apartment of an apparent drug overdose at 11:30 a.m. today. According to to law enforcement officials, Hoffman, 46, was found by a friend, screenwriter David Katz, who had become concerned that he was not able to get in touch with Hoffman. Officials mention that investigators found a syringe in the actor's arm and an envelope containing what's believed to be heroin. "It's pretty apparent that it was an overdose..The syringe was in his arm," an unnamed official said. The actor's hardships with substance abuse has been well documented, with Hoffman talking in interviews about "falling off the wagon" last year after being clean for 23 years. Hoffman rose to fame with the 2005 film, Capote, where he played the titular role, and won an Academy Award for Best Actor for his portrayal of the writer. He was set to reprise his role as Plutarch Heavensbee in the next entries in the Hunger Games films, Mockingjay Part 1 and 2, which is set to hit theaters in November 2014 and 2015 respectively.